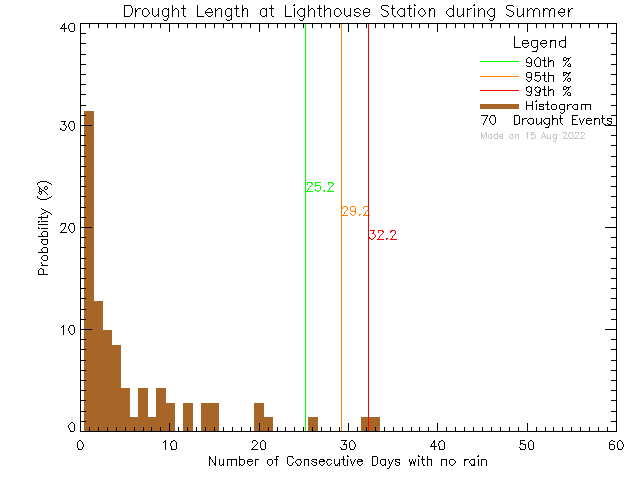 These plots show histograms of consecutive days without rain at stations in the School-Based Weather Station Network. 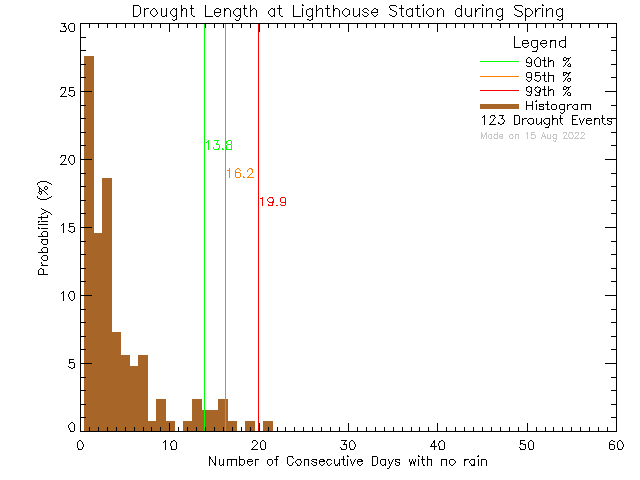 Each event is calculated by determing the number of dry days between two days that record rain. 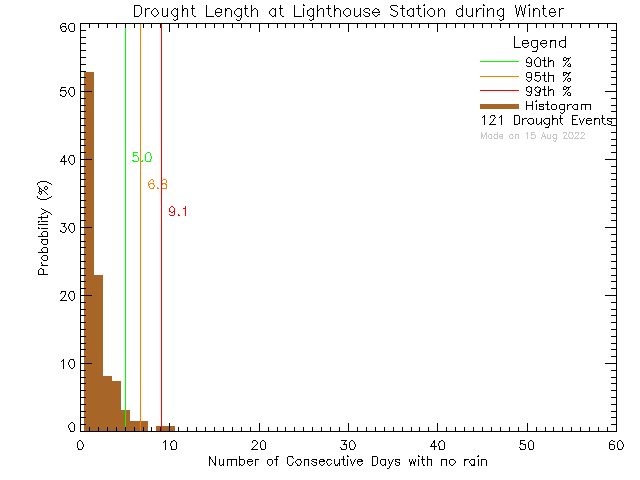 Long periods between rain events are considered droughts. The height of each bar gives the number of events with a particular length of dry spell between days with rain as percentage of the total number of events with at least one dry day between days with rain. All events are allocated to the season in which they start. As an example, suppose that rain falls on September 29 and no rain falls again until October 4. 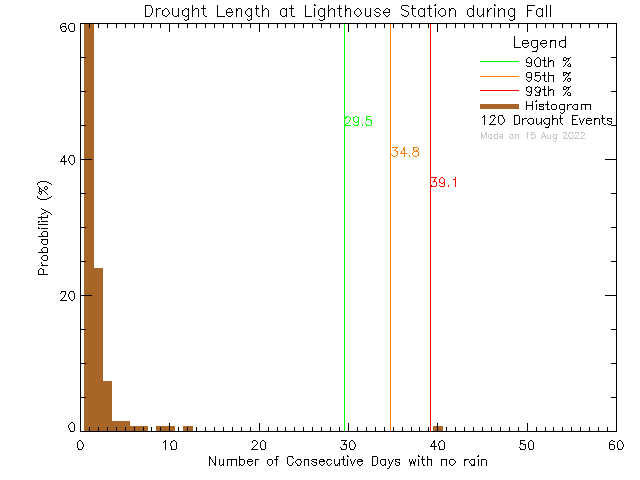 There are four consecutive days without rain and most of them occur in Fall. Therefore a drought event would be added to the bin centred on four days in the Fall and Year plots. Last Modified: November 08 2018 09:11:32.